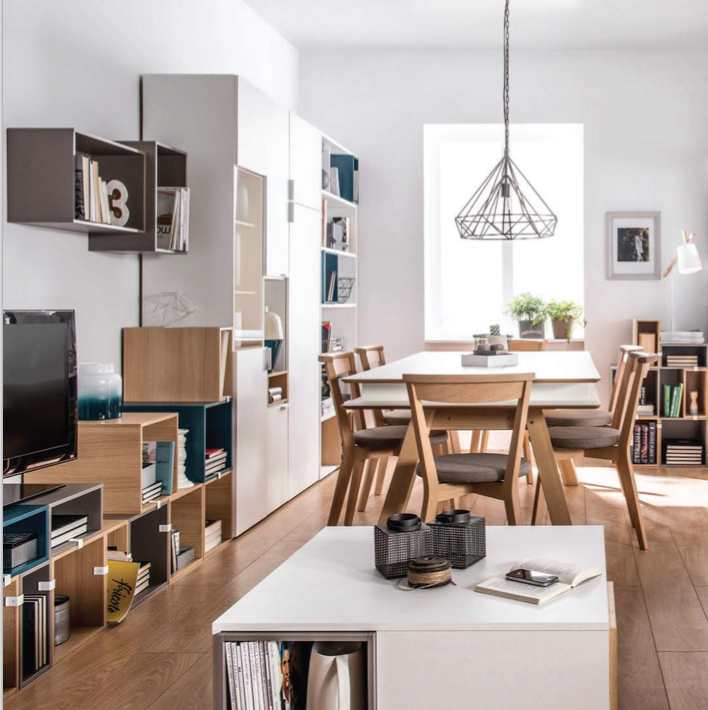 The VOX 4You range makes it easier than ever to get the apartment look you have always wanted. Featuring simple pieces that are eye-catching in their sleek design and flawless finish, this range is ideal for those starting out as well as those needing a change. 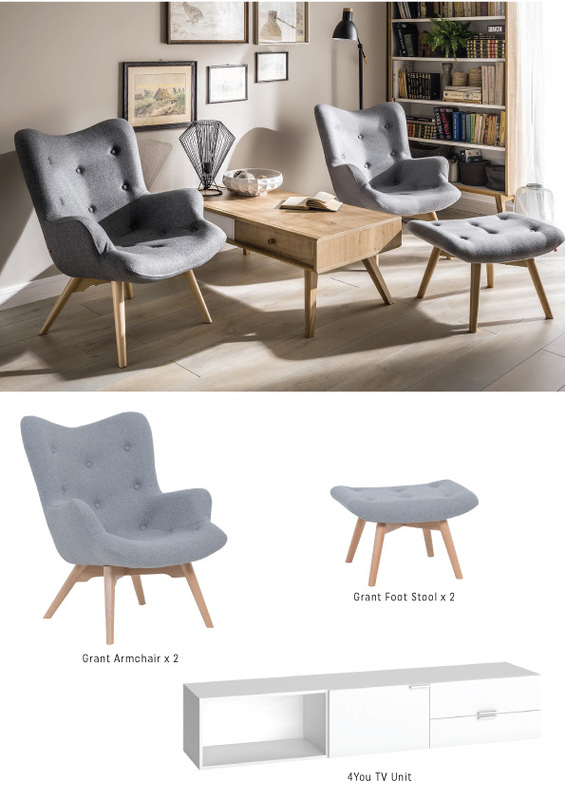 Keep reading to find out what makes the VOX 4You furniture collection the ideal choice for your apartment. as a bedside table, with ample storage space and a modern design. Ideal for apartments of all shapes and sizes. The 4You range also adapts to your space, with the help of space-savvy units that are suitable for even the smallest of studios. 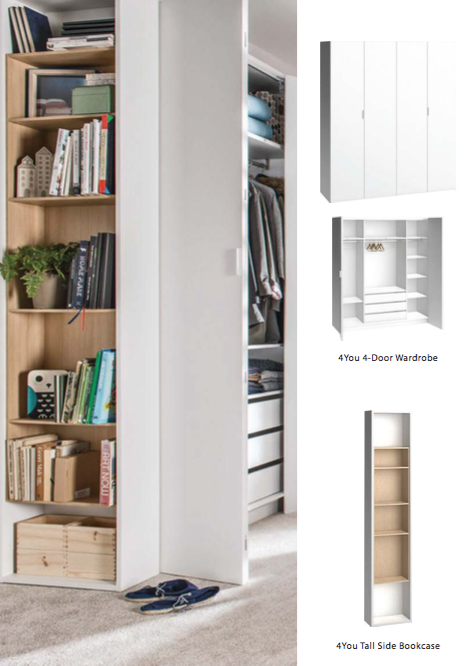 The new 4You 2-Door Wardrobe offers ample cupboard space that consists of rails, deep shelves, lower drawers and upper shelving, with a sleek finish that gives it the look and feel of a built-in cupboard. 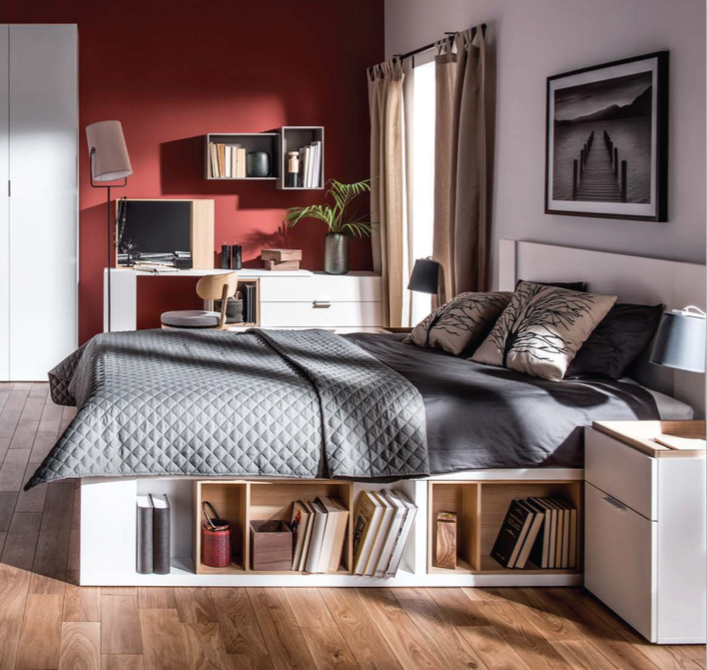 Pair with the compact 4You Tall Side Bookcase to create a customised storage centre that keeps your life organised without taking up too much room. In white and wood, this bookcase will blend into your style with ease. An inviting space to call home. have a living room that is truly made for living. View the complete VOX 4You range to start planning your dream apartment today.